News organizations across the state are writing about a new law, set to take effect Friday, August 28th, that will allow bicyclists and motorcyclists to proceed through a red light that won't change for them. Motorcycle advocacy groups proposed the law because motorcyclists often have the same problem bicyclists have--too many traffic signals just don't detect them. Unless a car comes along to trigger the light to change, you can sit literally forever waiting. MoBikeFed then worked to have bicyclists included in the law as well, since they face the same problem even more often than motorcyclists. Every sensible bicyclist or motorcyclist in that situation will wait until it is clear the light is not going to change, then wait until it is safe to proceed, and then go. And now, thanks to this new law, you can do that without fear of getting a ticket for running a red light. It is thanks to your ongoing support of MoBikeFed that common-sense changes like this are taking place in Missouri. It has taken over three years work in the Missouri legislature to get this small, simple law passed--and it is your support of MoBikeFed that allows us to continue this sort of long-term advocacy based on our presence in Jefferson City with the legislature and our personal relationships with legislators and staff there. Blowing through red lights is still completely illegal! 2. Wait an unreasonable amount of time. That would be AT LEAST as long as one normal traffic cycle--until it is clear the signal has failed to detect your presence. 3. Wait until traffic is clear and it is safe to proceed. 4. Then proceed cautiously through the intersection. One reason MoBikeFed has worked for this law is to bring to the attention of the traffic engineers what a serious problem it is when the traffic signals do not detect bicycles. All modern traffic signals that actuate on traffic should be capable of detecting bicycles and motorcycles. Almost all installed traffic signals in Missouri are capable of detecting (most) bicycles and motorcycles. In Columbia as part of the GetAbout Columbia project, officials have been re-calibrating traffic signals to detect bicycles and putting down pavement markings to show where to position yourself so as to trigger the signal. They have found that essentially all existing traffic signals can be calibrated to detect bicyclists. It just takes some work going around to each signal to adjust it, and know-how about how to do it properly. I would disagree with MoDOT's John Miller, who says: I think where we have detection in place, you're probably going to get the vehicle 90 percent of the time." In the experience of most bicyclists, the amount of traffic signals that fail to detect bicycles is far more than 10%. Nevertheless we are very pleased that MoDOT is so horrified about the possibility of people running through their traffic signals because they are not functioning properly. It is indeed a very serious safety issue and now that MoDOT has clarified exactly how important it is, we look to them to work with the bicycle and motorcycle communities and undertake a comprehensive initiative to make sure all their traffic signals detect bicyclists and motorcyclists properly. "As a practical matter the police have always applied that," Gard said. "If a stop light is obviously malfunctioning or hasn’t detected (a vehicle), they’re not going to write you a ticket for proceeding through an empty intersection." Hugh believes bikers can proceed safely if they make sure cross traffic has cleared, but said a better solution is for engineers to ensure that signals recognize bicycle riders. The Federal Highway Administration doesn't have jurisdiction on the issue and says research is limited. But it sides with Hugh on the signal issue. "We would strongly urge states to look at traffic devices and to adjust them and make sure they work before they implement such laws," said spokeswoman Nancy Singer. Thanks to Senator Bill Stouffer, chair of the Senate Transportation Committee, who has spent years shepherding this bill through the Missouri General Assembly, and to other who supported the bill over the past several years. Full bill text for SB368 can be found here. We rode from the Yay Bikes offices north on High to Walhalla. Up Walhalla to Indianola and south to Hudson. Hudson to Summit to 5th. 5th all the way to 670 and back into town on the trail. South on Cleveland to Spring. Spring to Marconi. Marconi to Broad. We stopped at the COSI scale on Washington. Out Broad to Rhodes Park. Through the trail back to the city streets and then McKinley to 5th. When we climbed the hill into Grandview it started to rain. Back to Neil Ave and up to campus. 25 miles. Mid 70's and clear, until the end of the ride. In one of the busiest shopping districts in Long Beach, Calif., bicyclists are kings of the road in an experiment that turns frustrated motorists into serfs. The seaside city south of Los Angeles is encouraging bikers to get right in front of cars. It painted a five-foot wide green stripe down the middle of one of the two lanes in either direction of the Belmont Shore section of the city. Even though cars were whizzing by at 30 miles an hour yesterday, bikes were free to ride right in their path. We started out with six people and headed over to CSCC to pickup Adam. We headed south to Rich St and as we turned the corner Adam blew out his rear tire. He decided to call it a night and walked home. We continued west on Rich and admired the partially demoed City Center. South on High to Greenlawn. We headed west and stopped for a few minutes at the Greenlawn Abbey. Up Harmon to Fton. We rode through the side streets until we hit Sullivant. Over to West Park and then onto Broad. We then turned into Rhodes Park and up the trail to the Valleyview area. Down to McKinley and over to Shrum Mound. We were going to Jonnies Tavern, but the grill closes at 9, so we went to Marshalls on 1st in Grandview. Back into town after food and drink for 19 miles. Great weather and great company. It has been a super long time since the last mailing and much has happened since then. Peletonia, COP rides, silent rides, Bike the C Bus, the Columbus Marathon, and Bumshuffle Alley cat to name a few. 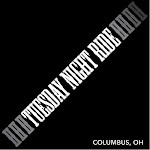 A truly great year for central Ohio cyclists is coming to an end. Sooo You know what that means! Time to put everything on sale!!! Call with any questions and hope to see you soon! (CNN) -- Amidst the sea of jerseys and bike shorts at New Jersey's City to Shore -- a 150-mile bike ride to benefit multiple sclerosis research -- one unlikely rider stands out. The Royal Danish Embassy, The Danish Cultural Institute in collaboration with the Ministry of Foreign Affairs of Denmark and various cycling organisations is presenting the cycling exhibition, “Dreams on Wheels” in response to Denmark is hosting COP15 – the UN Climate Change Summit – in December 2009. The exhibition will be on show in VAM Design Centre,Kiraly utca 26, from 4-25 September. Dreams on Wheels is an exhibition originally created by Thomas Ugo Ermacora- and is a conceptual arena for promoting urban cycling as a viable transport alternative The exhibition is a showcase for the Danish cycling tradition, bicycle design, and urban planning, and has among other places been shown at The Danish House in Paris, harbour-front Toronto, Danish Design Centre and in the Royal Botanic Garden in Edinburgh. 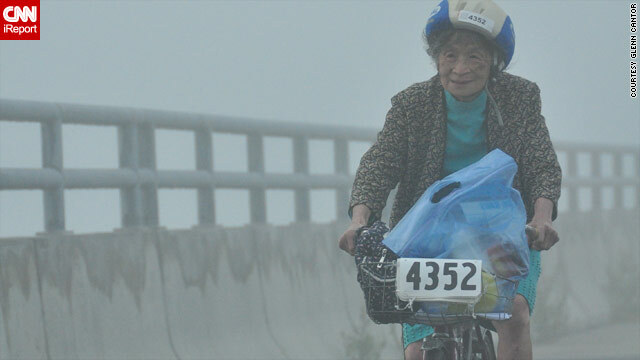 The intention of the exhibition is to promote cycling as an alternative form of transportation and to show how the benefits derived from it relate to important topics such as climate change, energy conservation, the environment and health. The exhibition will be on display with the title “Green Design from the Baltic Sea”. The Green Design is also part of the “Baltic Sea Festival” organized by EUNIC in September 2009. Denmark is using bicycles the most as an integrated part of the transport system. This is partially an education effort, a result of very high car prizes, but arguably mainly the result of the development of bicycle friendly infrastructure, bi-cyclepaths along roads, independent bicycle-roads, preferential position at road-crossing etc. etc. Budapest and Hungary as such, one might say, is not quite there. There is – arguably – still a lot to do. One really positive development is, though, that still more of the inhabitants of Budapest chose to bike. The exhibition illustrates Danish cycling culture and shows how to design infrastructure with a view to promoting cycling. Besides a comprehensive collection of photos and posters, a variety of bicycles are displayed. These range from the ordinary to the more curious kinds. As a follow-up to the exhibition in the framework of European Mobility Week, the organizers will together with the Municipality of Budapest host a conference “KERÉK-VÁROS -TERVEZÉS KONFERENCIA” on the 21 September 2009 at Budapest Technical University. The theme of the seminar will be how to facilitate the use of bicycles through Urban Planning. An one day conference where experts in urban planning from Hungary and Denmark approaching the theme of Bicycle-friendly urban planning each their starting point. The outcome of the conference would be a number of concrete positive suggestions for what to do next in developing bicycling friendly urban planning in Budapest. During the run of the exhibition The Royal Danish Embassy and The Danish Cultural Institute will together with Cyclechic, BuBiFeszt and Skandináv Ház Alapítvány be arranging a series of cycle-related events for the public. 21 September: 9 am-1 pm Conference at the Technical University in partnership with European Mobility Week Budapest. Title: “Urban design and traffic planning”. Participants: Mr. Miklós Hagyó, Deputy-Mayor of Budapest, Mr. László János, Chairman of MK, Danish Photographer Mikael Colville Andersen and many others. The exhibit is supported by: Municipality of Budapest, European Mobility Week, Cycling Embassy of Denmark, Magyar Kerekparosklub, Konkam Studio, The Danish Cultural Institute &Etikstudio. Oregon Manifest - How to celebrate the cycling community the right way! Oregon Manifest celebrates the art, craft and community of bicycling. Our mission is to engage a wide audience with cycling lifestyle through innovative, influential events around the bicycle. We’re looking for the next-wave transportation bike! OREGON MANIFEST has challenged frame builders from around the country to design and build an innovative, modern transportation bike in this technical trial of engineering dexterity and fabrication mettle. Over 30 custom bike builders will be developing considered, integrated, and spectacular solutions for the everyday rider. The top 12 winners will be displayed at the OM Bike Union for our full 6 weekend run! Presented by Rapha. 77 miles of epic on-and-off road challenges inspired by classic day races; Design Challenge builders (or their designated riders) will brave dirt, gravel, elevation climbs, and urban technical trials on the route to Bike Victory. In collaboration with the Embassy of Denmark in Washington DC and the City of Portland, OREGON MANIFEST is delighted to be hosting Dreams on Wheels for our full 6 weekend run. This internationally traveling exhibit showcases Danish cycling culture and Denmark’s commitment to sustainability via urban design. 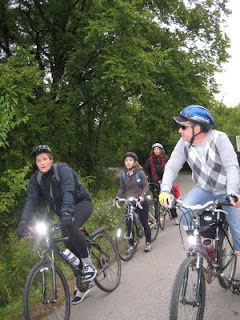 Come see how cycling has transformed the transportation mix in Denmark! Hello Pearl District! OREGON MANIFEST is bringing bike culture to the Pearl for our 6 weekend run. Right on the streetcar line, the pop-up Bike Union will house the winners of the Constructor’s Design Challenge, host our events, and provide home to the Dreams on Wheels exhibit. Proudly serving the Portland, Oregon metro area, we deliver, setup, breakdown, and remove our proprietary, secure parking racks for self-service use during an event. We cater to both small and large events, especially those that can't justify the logistics of a bike valet corral. The core benefit to our racks and service is to be able to locate parking as close to the center of activity, allowing for quick transition from parking to event without searching for a corral or empty rack. Additionally, our racks can be a great supplement to corrals, and gives event participants the flexibility to come and go as desired. Got out by myself to ride and think... Rode from my house in Blacklick out to Dawes Arboretum. The first 30 miles I averaged 17mph. Rode through the park and stopped to take pics. Total of 60 miles and I averaged 16mph overall. Beautiful weather in the low 60's. Specialized cross roads XC elite. Schwinn Super Le tour. Red. Please contact the police if you see the bikes on the street or for sale.